I will take you from zero to hero in less than four hours. Let me me just deal with a couple of common objections. COMMON OBJECTION 1: "I’m not good at technical stuff." Well, some years ago I was in the same situation. In fact, I don’t come from a technical background. 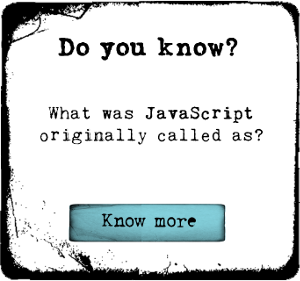 I learnt what I needed to know on my own and I worked with professional developers. So I’m confident that after you’ve completed this course, you’ll be able to build your own unique, professional-looking website. COMMON OBJECTION 2: "I have a very limited budget. It must cost a lot of money to build a professional-looking website, right?" And if you're going to have an appointment booking and payment service integrated with your site, you'll need an extra $10/month (although there's a 14-day free trial). And that is it. I may mention a few modestly-priced addons or services that will make your site even better, but that’s the absolute minimum. If your budget is below this, then you won't be able to use all the tools I mention in the business sections of the site. But you will find lots of useful WordPress and marketing tools and tips in the other sections. Also, to use the e-commerce tools, you'll need to sign up for a Paypal business account, which I guide you through in section 4. So make sure that Paypal supports your country. If you meet the above requirements and if you’re ready to learn new tools and skills to diversify your income, then you’ll get the most benefit from this course. Just click the ‘Take this course’ button to begin. And remember, Udemy offer a 30 day money back guarantee if you’re not satisfied for any reason.